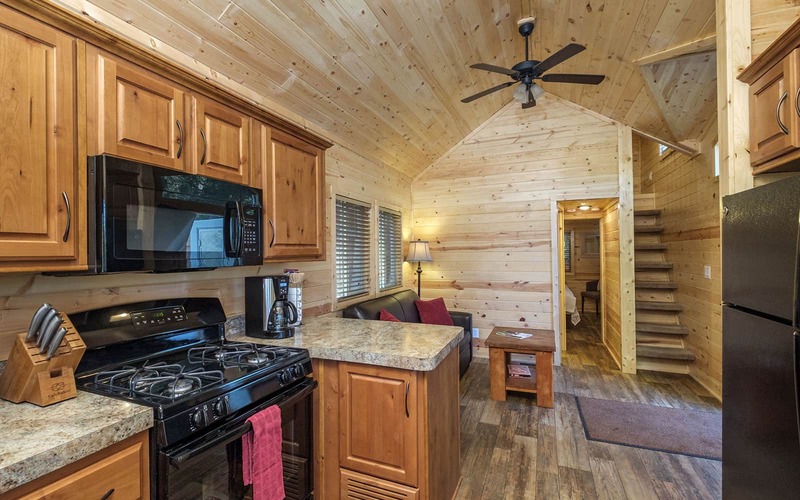 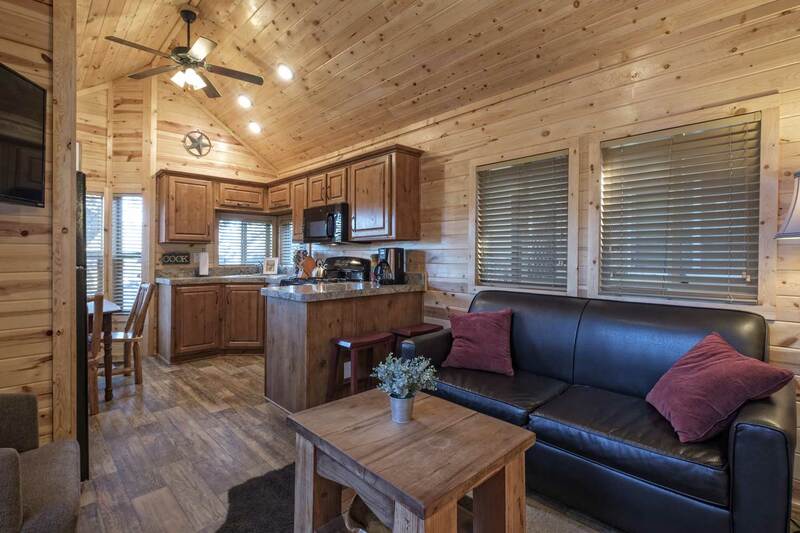 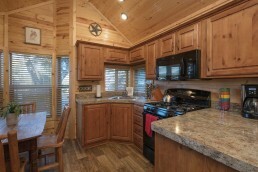 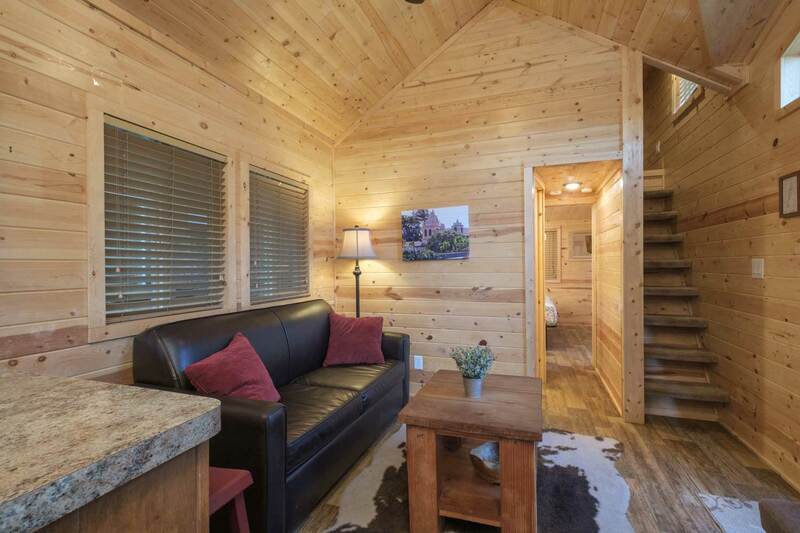 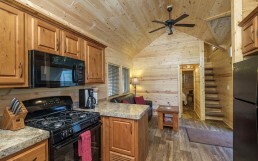 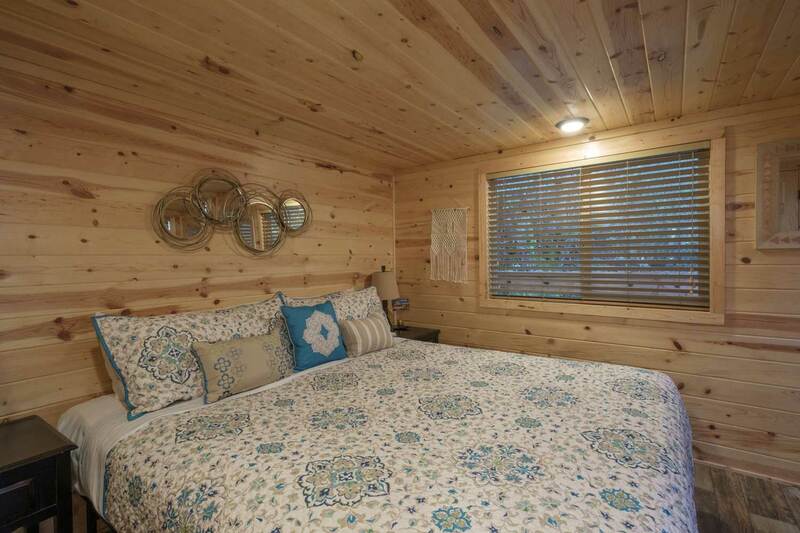 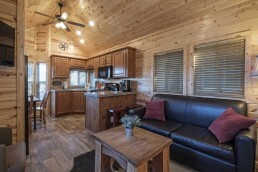 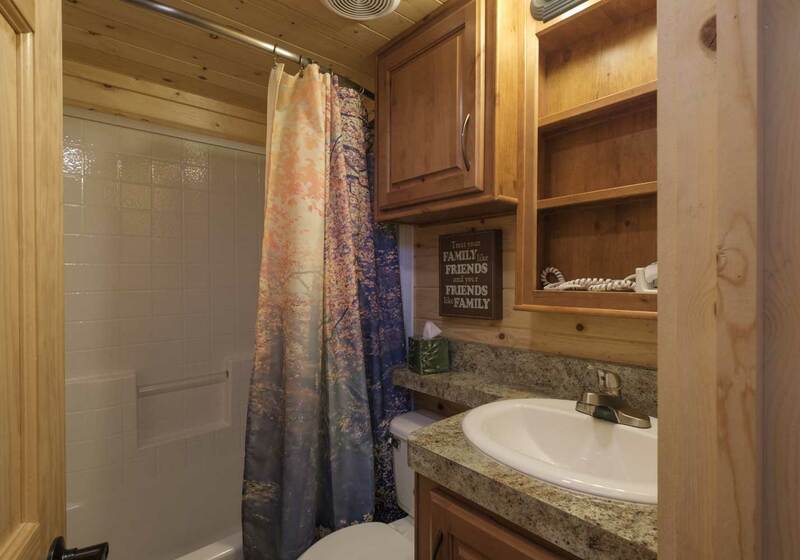 Two bedroom cabin suite with one queen bed in lower bedroom, one queen bed and two single beds in loft and a queen pull out couch in living room. Lower bedroom opens to a private deck. Fully stocked kitchenware and propane barbeque for your cooking needs. Full bathroom with shower/tub combination. This cabin is not pet friendly. 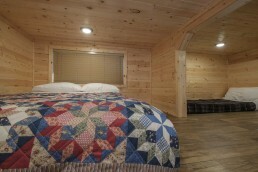 Sleeps 5-7.